Sunscreen isn’t just about protecting your skin from the sun anymore. The new iteration of sun protection offerings provide so much more: protection against aging, dark spot correction and ingredients that ward off the harmful effects of pollution. Now, more than ever, your sunscreen should be a multitasking workhorse. To find one of these gems, shop wisely as you browse the aisles for your next form of sun protection. Luckily, we’re giving you a bit of insight. We’ve gathered the 11 best facial moisturizers with SPF that will safely give your skin what it needs as it protects it from the sun. 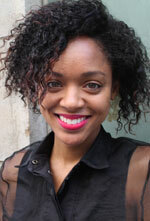 DaMonica Boone is a freelance fashion and beauty writer. Her work has appeared on Ebony.com, xoVain, Styleblazer.com and other online outlets. She's a Chicago native that resides in Brooklyn, but misses the streets of the Windy City. When she's not spending her time writing, she's either online shopping, resting in a face mask or visiting a local art exhibition.